INTERNATIONAL LENS, a film series with a global perspective, provides a forum to promote conversation among Vanderbilt’s diverse community of students, faculty, and staff. 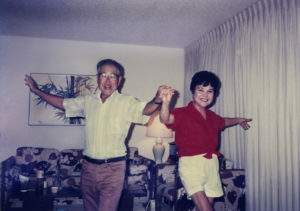 International Lens endeavors to transcend geographic, ethnic, religious, linguistic, and political boundaries by encouraging conversation and greater cross- cultural understanding through cinema. 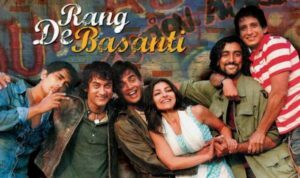 The series is coordinated by Cinema & Media Arts in collaboration with Dean of Students offices and other departments, centers, and programs across the University. Films are screened in Sarratt Cinema at 7:30 p.m. unless otherwise noted. 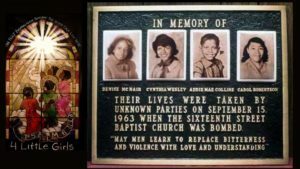 On September 15, 1963 in Birmingham, Alabama, a local chapter of the Ku Klux Klan placed bombs at the 16th Street Baptist Church, which resulted in the death of four black girls ages 11-14 years old and provoked a national outrage. This Academy award nominated documentary details the lives of these four girls and the pivotal changes that took place in the civil rights movement after their deaths. English. 102 min. 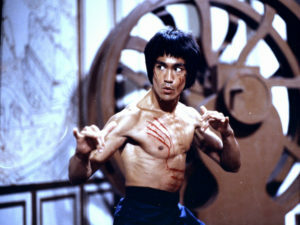 Regretfully both the peak and the final film of Bruce Lee’s career, Enter the Dragon is one of the most popular martial arts films ever made. Lee plays a martial-arts expert determined to help capture the narcotics dealer whose gang was responsible for his sister’s death. In a jaw-dropping display of action/fighting skills, Lee enters a martial arts competition in an attempt to fight his way to the dealer’s headquarters. English/Cantonese with English subtitles. 110 min. Post-screening discussion led by Matthew Polly, author of the definitive biography: Bruce Lee: A Life (2018). Suspicion leads to hysteria when rural villagers link a series of brutal murders and a mysterious sickness to the arrival of an enigmatic stranger. A policeman, personally drawn into the incident, is forced to solve the mystery in order to save his infected daughter in this tense genre-bending horror film. Korean/Japanese with English subtitles. 156 min. 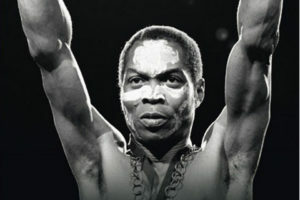 This documentary details the life, music, social, and political importance of Afrobeat music pioneer, Fela Anikulapo Kuti, who used this new musical movement as a forum to express his revolutionary political opinions against the dictatorial Nigerian government of the 1970s/80s. Fela Kuti’s influence helped bring a change towards democracy in Nigeria and promoted Pan Africanist politics to the world. English. 120 min. 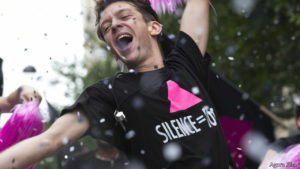 In the early 1990s, a group of ACT UP activists in Paris goes to battle for those stricken with HIV/AIDS, taking on sluggish government agencies and major pharmaceutical companies with bold, invasive actions. Amid rallies, protests, fierce debates and ecstatic dance parties, the newcomer Nathan falls in love with Sean, the group’s radical firebrand, and their passion sparks against the shadow of mortality as the activists fight for a breakthrough. French with English subtitles. 144 min. Winner of the UNICEF Childhood and Adolescence Award, this captivating anthology of both narrative and documentary short films brings together eleven award-winning filmmakers from seven different countries to examine the educational crisis in Latin America, and explore the underlying reasons why nearly half of all young people there never finish high school. Spanish with English subtitles. 112 min. The enigmatic and wealthy Ana hires a lonely nurse named Clara from the outskirts of São Paulo as a nanny for her unborn child. The two women develop an unlikely bond, but Ana’s odd nocturnal behaviors put pressure on both of them – until the fateful night when Ana finally gives birth, and Clara makes it her mission to care for and protect the child from others. Portuguese with English subtitles. 135 min. Ruby, a promising medical school student, puts a halt on her career in order to focus on her husband’s well-being after he is sentenced to eight years in prison. However, through a chance encounter and a stunning betrayal that shakes her to the core, she is soon propelled in new and shocking directions of self-discovery – caught between two worlds and two men in the search for herself. English. 99 min. Waking from a one-night stand that neither remembers, Micah and Joanne find themselves wandering the streets of San Francisco sharing coffee and conversation, while searching for a deeper connection. This debut feature film from Academy Award winning director Barry Jenkins (Moonlight, If Beale Street Could Talk) is both political and fun, touching upon themes of race, class, and gentrification. Katja’s life falls apart when neo-Nazis kill her husband and 6-year-old son in a bomb attack. After a period of mourning, her mind-numbing search for reasons for the attack and the quest for justice soon pushes her to the edge, as the two suspects stand trial for murder. There is simply no alternative for her: she wants justice and seeks the ultimate revenge. German with English subtitles. 106 min. A British filmmaker comes to Delhi to shoot a film about Indian freedom fighters under British rule & casts a group of five friends to play the revolutionaries. Although the friends are largely apolitical & indifferent to the past, their perceptions change after the tragic death of another friend & Indian Air Force pilot is attributed to local government corruption, suddenly awakening their patriotism. Hindi/Punjabi/English with English subtitles. 157 min. At a time of increasing social instability and global anxiety about a range of issues, the works in the 19th Annual Show have a special resonance, presenting compelling ideas about our place in society and how we fit into the world. 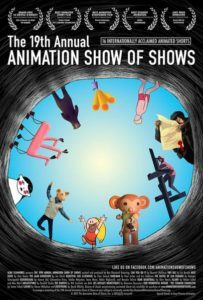 Funny, engaging, inspiring, and thought-provoking, these 16 animated short films from eight different countries are a remarkable and insightful microcosm of our world. 93 min. Unless enrolled as student at Vanderbilt University, persons under the age of 18 must be accompanied by a responsible adult. “Not rated” films may contain material suitable for mature audiences only. Sarratt Cinema is located on the first floor of the Sarratt Student Center. Parking for the Nashville community is available at no charge in Zone 2, Lot 5A at the corner of Terrace Place and 21st Ave South. Please avoid parking in spaces reserved for specific vehicles/purposes. Note that there is no charge for meters along West End after 6:00 p.m. Meters on campus are enfored 24/7. Parking for the Nashville community for International Lens screenings in Sarratt Cinema is available at no charge in Zone 2, Lot 5A at the corner of Terrace Place and 21st Avenue South. Please avoid parking in spaces that are reserved for specific vehicles of purposes. NOTE: that there is no charge for meters along West End after 6pm. Meters on campus are enforced 24/7. View parking maps and additional information online or call 615-322-6400.